Educators and students are carrying in much more than backpacks, car keys, conversations, partially-completed homework, and outward laughter. Buried deep in the brain's limbic system is an emotional switching station called the amygdala, and it is here that our human survival and emotional messages are subconsciously prioritized and learned. We continually scan environments for feelings of connectedness and safety. I am learning that the students who look oppositional, defiant, or aloof may be exhibiting negative behavior because they are in pain and presenting their stress response. Over 29 percent of young people in the U.S., ages 9-17, are affected by anxiety and depression disorders (PDF). The thinking lobes in the prefrontal cortex shut down when a brain is in pain. What is trauma? When we hear this word, we tend to think of severe neglect or abusive experiences and relationships. This is not necessarily true. 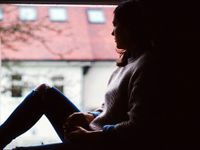 A traumatized brain can also be a tired, hungry, worried, rejected, or detached brain expressing feelings of isolation, worry, angst, and fear. In youth, anger is often the bodyguard for deep feelings of fear. Trauma-filled experiences can be sudden or subtle, but the neurobiological changes from negative experiences cause our emotional brain to create a sensitized fear response. When we feel distress, our brains and bodies prioritize survival, and we pay attention to the flood of emotional messages triggering the question, "Am I safe?" We react physiologically with an irritated limbic system that increases blood pressure, heart rate, and respiration with an excessive secretion of the neuro hormones cortisol and adrenaline pumping through our bodies. Chronic activation of the fear response can damage other parts of the brain responsible for cognition and learning. We are all neurobiologically wired for social connection and attachment to others. When children don't receive healthy connections in early development, the brain rewires and adapts just as readily to unhealthy environments. If brain development is disrupted by adversity at any age, but especially in early development (PDF), the skills of problem solving, reflection, and emotional regulation are compromised and diminished. Children and adolescents need stimulation and nurturance for healthy development and attachment. Students whose development is disrupted often walk through the doors of our schools mistrusting adults. To learn and problem solve, we must prime the brain for engagement and feelings of safety. In recent years, there has been a significant emphasis on Common Core proficiency while teacher training has often lost sight of the impact of understanding brain development in students. The almond-shaped clusters of neurons resting deep in each temporal lobe must be quieted if learning and well-being are to be exercised and addressed. Educators too need to be aware of our brain states and subconscious emotional triggers that could throw us into a power struggle and a stress-response state as we interface with our students. What can we do to create calm and safe brain states within ourselves and within the students who walk in with an activated fear response? We first must understand that feelings are the language of the limbic system. When a student in stress becomes angry or shut down, he or she won't hear our words. Talking a student through any discipline procedure or thought reflection sheet in the heat of the moment is fruitless. Here are three ways to calm the stress response -- two of them through immediate action, and the third by a brief science lesson. Movement is critical to learning while calming the stress and fear response. Teachers and students together could design a space, a labyrinth of sorts, where students can walk or move to relieve the irritation of the amygdale. Physical activities such as push-ups, jogging in place, jumping jacks, and yoga movements help to calm the limbic brain and bring the focus back to learning and reasoning. Focused attention practices teach students how to breathe deeply while focusing on a particular stimulus. When we take two or three minutes a few times each day or class period and teach students how to breathe deeply, we are priming the brain for increased attention and focus. These practices might also include a stimulus such as sound, visualization, or the taste of a food. The focused attention increases an oxygenated blood and glucose flow to the frontal lobes of the brain where emotional regulation, attention, and problem solving occur. Teaching students about their amygdala and fear response is so empowering. When we understand that this biology is many thousands of years in the making, hardwired to protect us, our minds begin to relax through knowing that our reactions to negative experiences are natural and common. A middle-school teacher and her students have named the amygdala "Amy G. Dala." By personifying this ancient, emotionally-driven structure in our brains, the students are befriending their fear responses and learning how to lessen negative emotion. We cannot always control the experiences in our lives, but we can shift how we respond, placing the science of our brains in the driver's seat of discipline! Have you recognized students experiencing emotional pain? How have you helped them overcome this?